The architectural office AM-architects commissioned us two architectural renderings for their new architectural proposal. 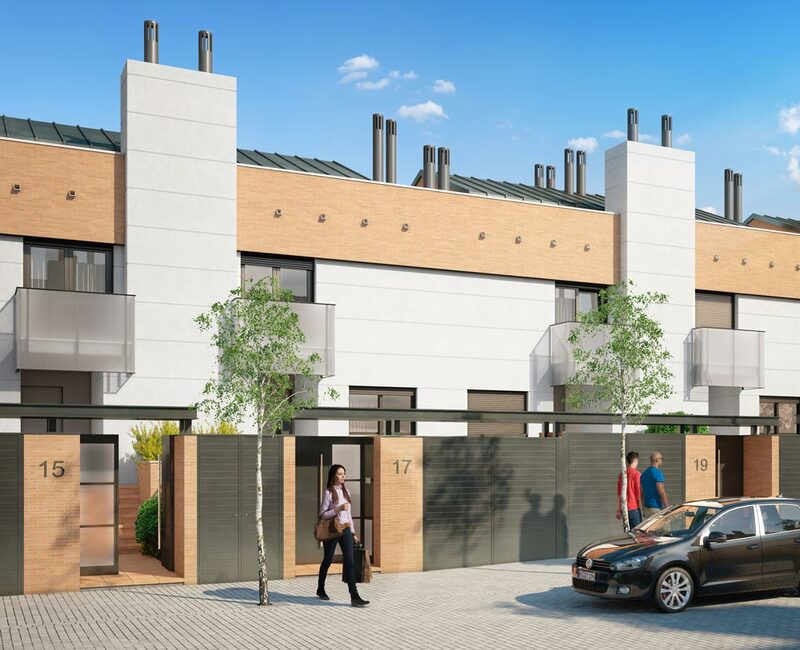 The project is located in the suburb of Leganes, Madrid, and includes 24 new construction townhouses that are included in the new urban development of the city. The houses are located in a pedestrian street with small trees that provide peace, comfort and a family atmosphere to the area. The townhouses are currently under construction. The architectural renderings will be used to launch the promotion of home sales before the completion of the works. In an immediate way, an architectural rendering is able to give the future home buyer a nearly real image of what the house will be once the work is completed. Referring to materials, facades run on natural white limestone and red stripes of brick combined with metal grey anthracite framing. In the daylight architectural rendering, they chose to place a clear blue sky contrasting with the colors of the facade. 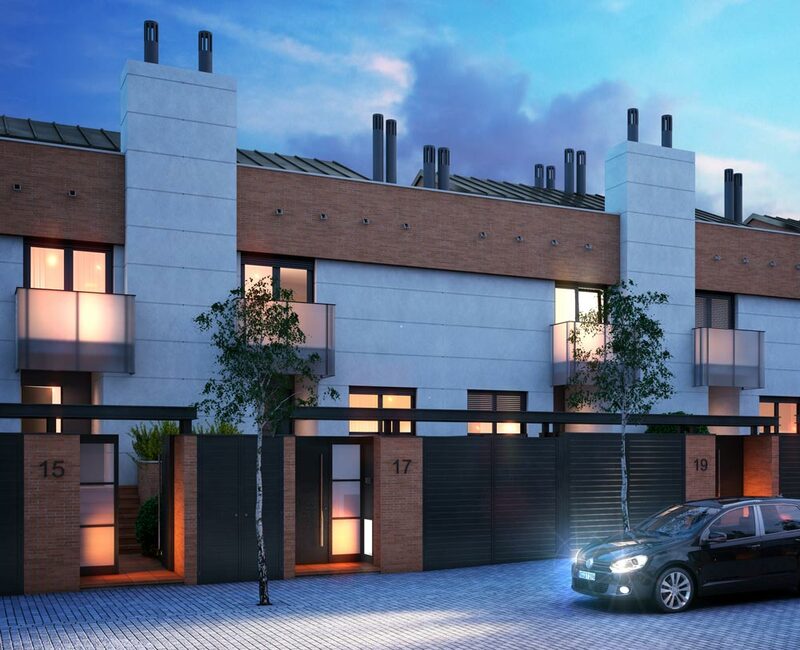 For the nightlight architectural rendering, the lights of the townhouses were switched on randomly. To achieve a more realistic effect some blinds were lowed and we played with the intensity of the lights. The interior architectural rendering of this promotion are under development, we hope to publish them shortly.